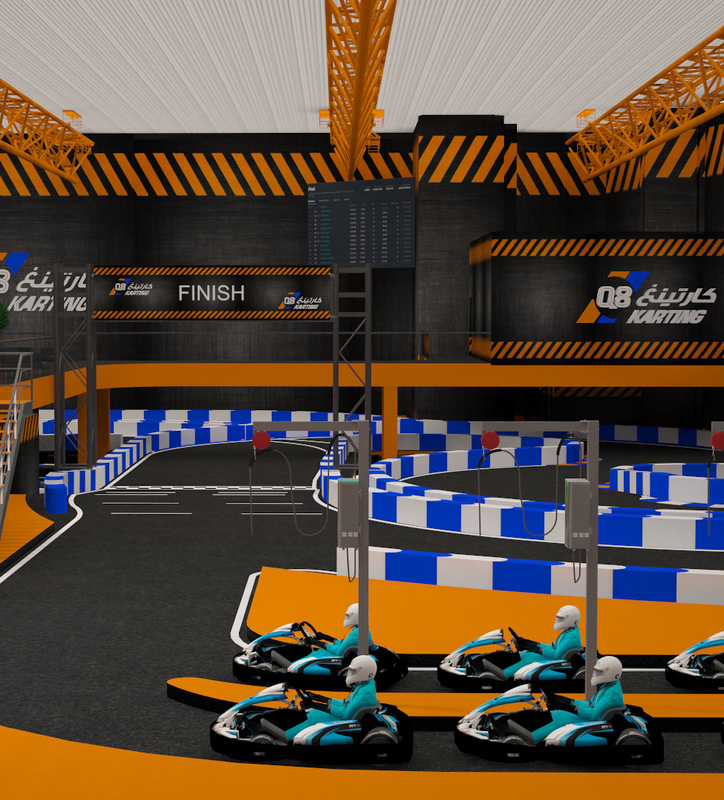 A rooftop location, 5,000 sqm, at Al Kout will be operating a unique leisure karting facility. The concept would include 2 leisure tracks, a track layout for juniors from 7 years of age and another for adults starting from 13 and above. 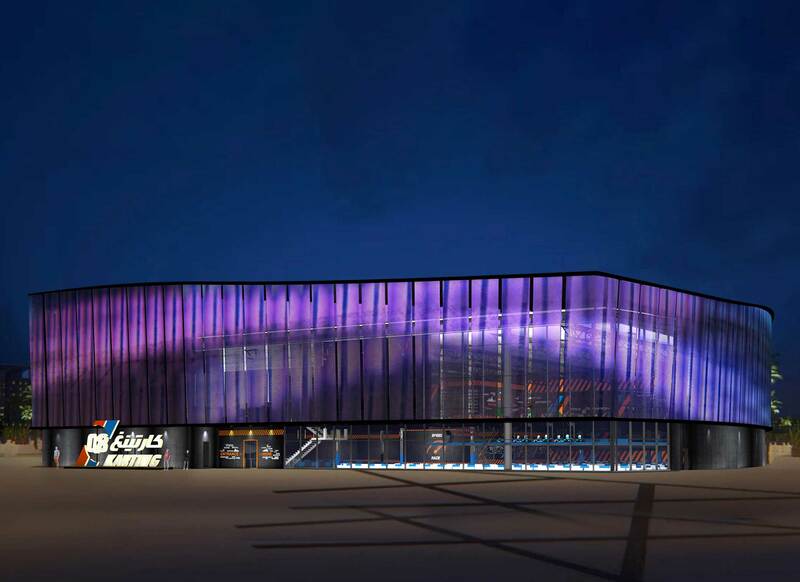 The track will be an indoor track on a unit of around 3,800 Sqm including an existing mezzanine of around 1,000 Sqm. Track layouts will be designed to be used with electric karts and there will be a possibility to merge the two tracks together making it a longer single track. 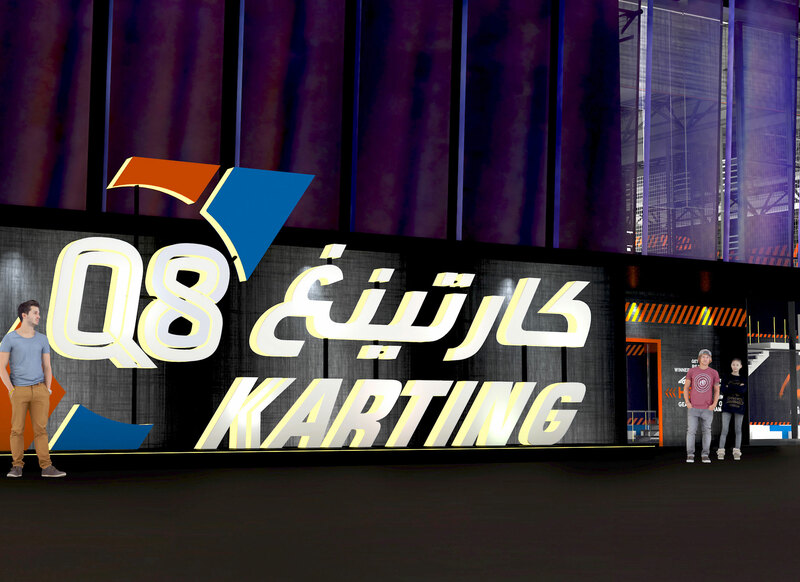 Q8 Karting will be located on the rooftop of Al-Kout Mall (10th floor). Location will have a dedicated main access from inside Al-Kout Mall and/or other lifts from the parking. 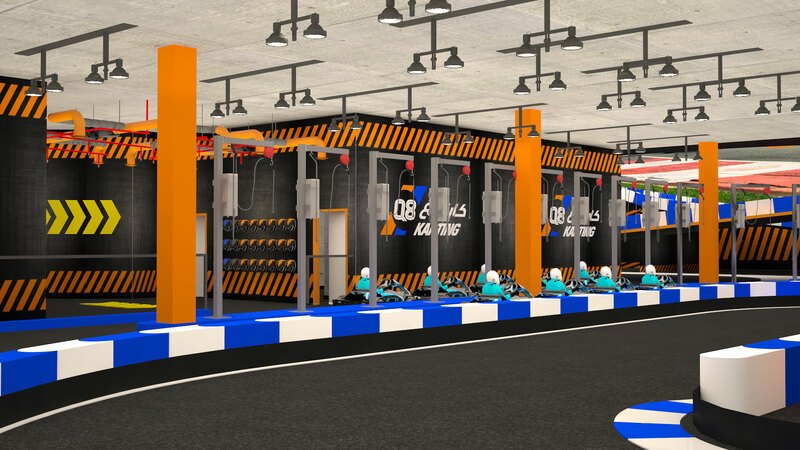 We will operate a store within the mall as an entrance to Q8 Karting with a customer service reception to accept customers’ bookings along with a path to the elevator displaying our products.